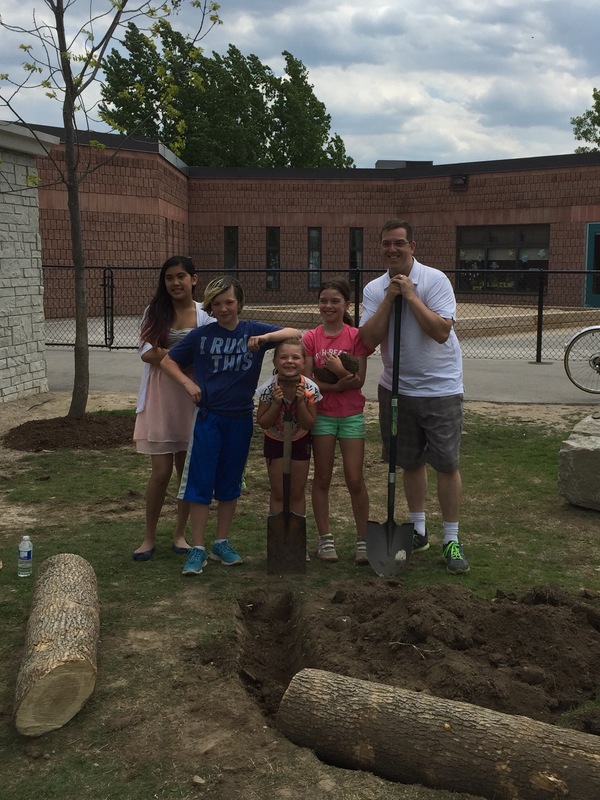 #Guelph Gateway Public School Greening! 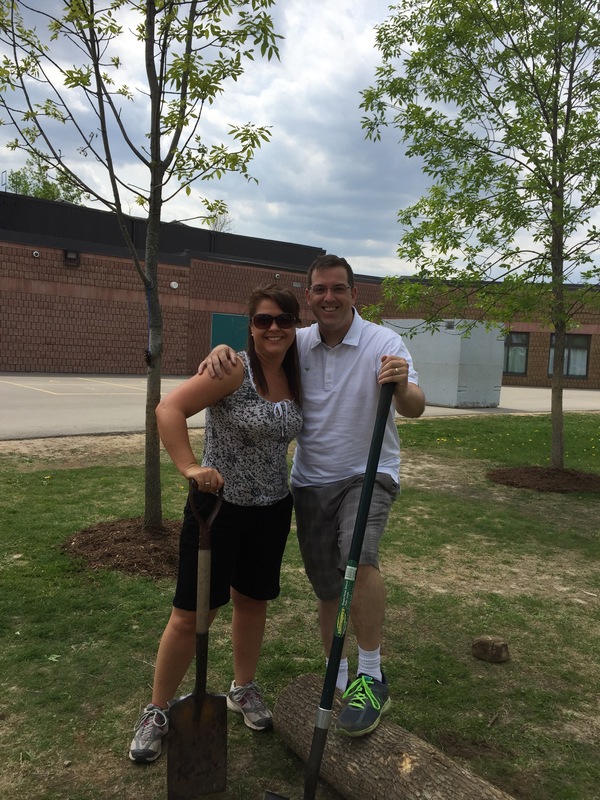 It was a great afternoon helping out @UGDSB Gateway Public School! They’ve been doing a natural greening project for sometime now. 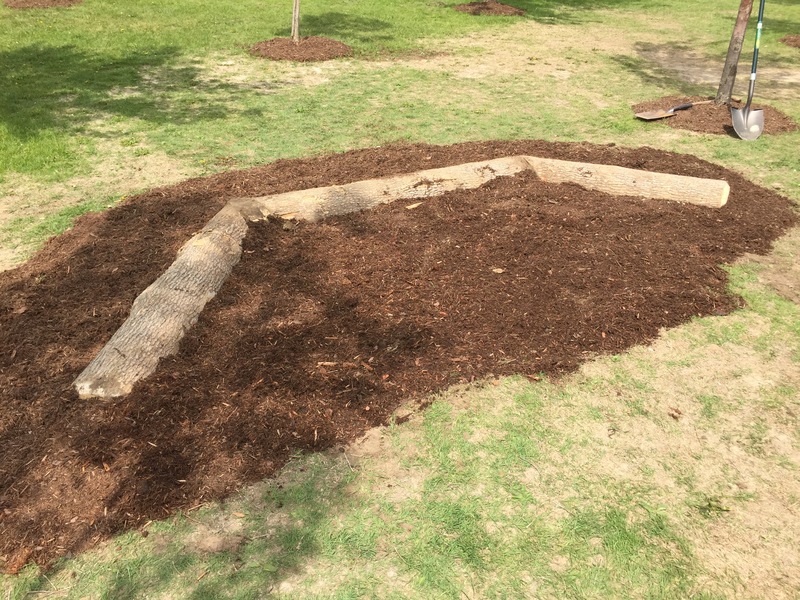 It kicked off last fall where they started building their natural amphitheater and has now continued out across the school yard with many other projects of natural stone and logs. Thanks to all involved today! Please retweet & repost this for our transit users! Guelph, ON, May 20, 2015 – Guelph Central Station will close temporarily on May 23 and 24 as a result of the Galt District Energy System construction taking place along Macdonell and Wellington streets. 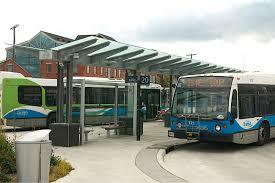 During this time, Guelph Transit buses will use alternate platform locations within St. George’s Square. Updates and complete detour details are available online at guelphtransit.ca > service advisories. The timing of the relocation is weather dependent. Could #Guelph Do This? Would you? 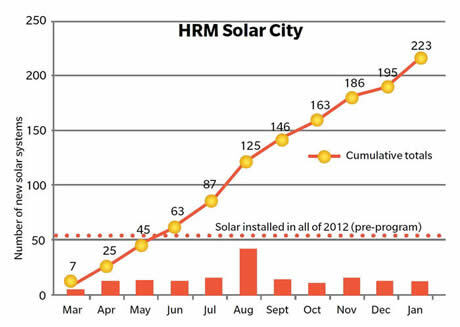 Look at the uptake on Solar Hot Water alone for Halifax after a unique program called Solar City came into play. I believe Guelph should be looking into this. I’ve had meetings with staff asking them to inform me on how we might be able to go about having this option for our community. This equipment can help offset up to 20-25% of an annual bill for an average homeowner. The average energy saved (in 2013 energy costs) over the life of approximately 25 years, would be over $5.5million dollars. The city does not give people solar hot water systems for free. They broker it, administer it and help finance it at about a 3.5% rate. Payback to the city is normally over 10 years. They do this by adding a charge to residents tax bills. By stimulating these initiatives, I believe it would create more jobs and boost our economy. From the equipment side and the installation side there would be benefits. 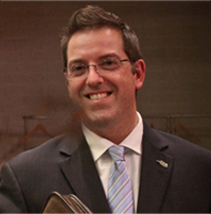 The city website says “Solar City is playing the lead role in building what the city calls energy-efficient economic development.” I like the ring of that! Halifax regional council are now looking at expanding the solar options to include solar photovoltaic (electricity) and solar air (space heating), on top of solar thermal technologies. A current report from city staff indicated that an additional 2,500 homeowners “expressed interest,” and that by the end of January, a total of 388 residents signed on to have new solar energy systems installed. What do you think Guelph? Would you install solar panels to pay it back over several years by adding the costs onto your tax bill? 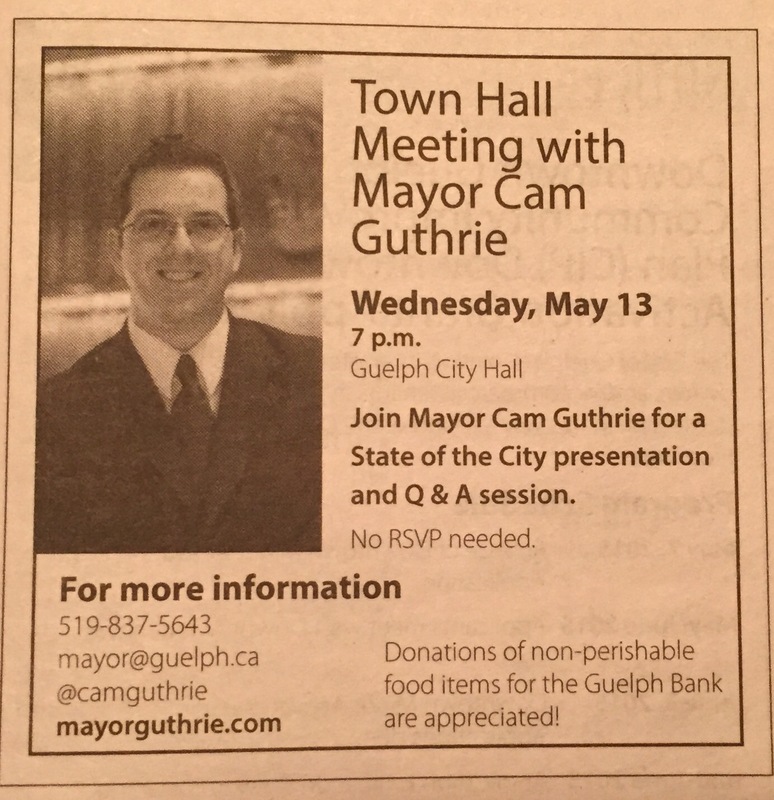 Hello #Guelph I’m having a community wide townhall meeting this Wednesday at city hall. It’d be great to have as many of you there as possible! If you’re coming, let’s think of others at this time and bring a donation of non-perishable food for the Guelph Food Bank! Please share this with others! 7pm this Wednesday.